Friendship is ultimately necessary for every child to make themselves comfort in a zone in being a similar attitude from the same kind of children. 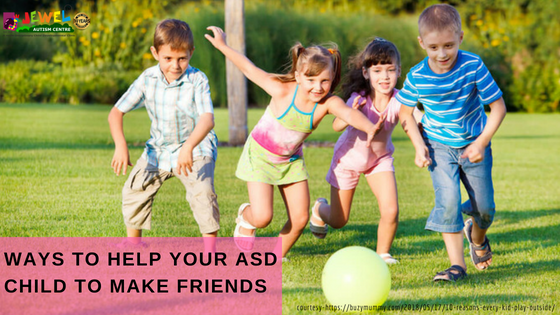 But when it comes to children with autism, it’s quite difficult for them to make new friends and communicate. It is suggested by therapists and parent should also understand the fact that, it would be beneficial for their kids if he interact with the peer group of common interest. It would be beneficial for their kids if he interact with the peer group of common interest. Selecting friends circle – The circle is a team of people can be of various ages just 2 to 3 above or below your child’s age can be fine. The team selection can be like, the children who really care your child and they really want him as a positive face in their own team. Usually children feel really good when they show interest with other kids. But the thing is social stigma posed by other members in their family is a block. According to your convenience please don’t choose your friend’s children. It might be comfortable for you to prevent social stigma but it will not satisfy the interest of your child. Concentrating on academics is good but pay more attention on extra curricular activities like: – skating, swimming, running, basketball, drawing, music, dance classes. These can be the best platforms for your kid to improve his interaction among the peer group. Choosing best friends within the circle–Help your child to find friends with whom he is comfortable. You can also take your child to their house; it is beneficial for your child to develop good communication skills. A purposeful interaction in sharing of things, asking for needs, assertive skills within the peer group, from third person within their friends rather than giving direct instruction for sharing. Like take them to outing- picnic, shopping together, beach, parks with friends. Give few instructions to other friends of your child. Allow minimal in-dependency in choosing their necessities in shops, helping the adults in their work or routines. It is always important to make them feel self satisfied and be as matured by themselves. Maintaining the friendship for long years- It is important to maintain friendship for long time rather than a short time friendship. Be always sure the friends chosen will be maintained at least for 2 to 4 years long or even more than that. Choosing friends who will be the tenant of home town, or the children of permanent employees.